TurnsPro® | Time Lapse Camera Mount is the latest innovation from UK-based startup TurnsPro. The mount has a rotating head which enables you to rotate and spin your camera through 360 degrees to create unique time-lapse videos, smooth panoramic photos and amazing panoselfies. The time lapse camera mount is completely customisable allowing to you pan your camera over a time, speed and direction (clockwise and anticlockwise) set by you. Rotating camera mount for GoPro, compact cameras, small DSLRs and smartphones. 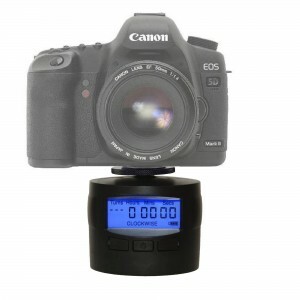 TurnsPro® is simple to set up and use and is the easiest way to create panning time lapse movies. This shows some of the key uses of TurnsPro – Time Lapse Camera Mount. Use it with DSLR (less than 1 kg), GoPro and smartphones. We have got a range of products available depending what motion you like to add to your videos. If you are just looking for rotating / panning movement, then the TurnsPro – Time Lapse Camera Mount is for you. For sliding / linear movement, see our Motorised Slider Bundle. By combining these products together, you can produce a full 3 axis of movement – sliding, panning and tilting. 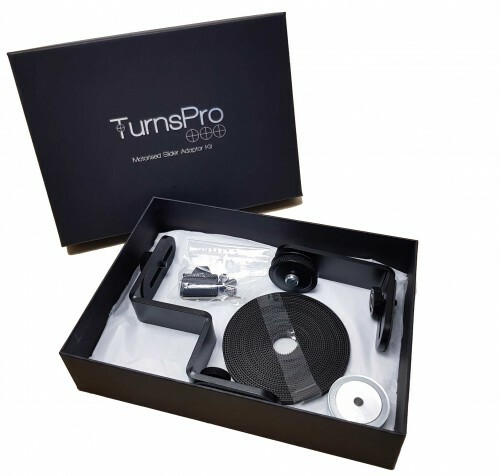 Buy TurnsPro for £84.98 inc VAT. Buy Motorised slider bundle for £294 inc VAT. Buy TurnsPro : Slider Edition plus Motorised Slider Adaptor Kit for £145 inc VAT. 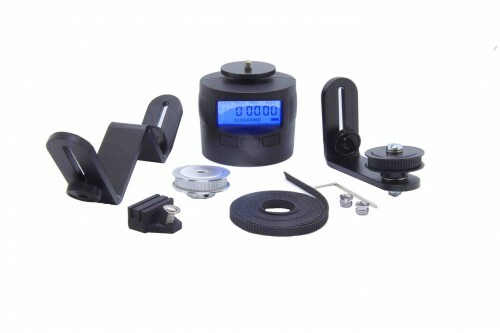 Buy Motorised Slider Adaptor Kit only for £69.98 inc VAT. These are examples of panning timelapse videos filmed using a GoPro and a TurnsPro. Share your videos with us, join the TurnsPro community. Don’t just take our word for it, take a look at this TurnsPro review video to see what others think. In July 2018 we ran a successful Kickstarter campaign. All the products from this Kickstarter are now available to purchase. Take a look at our blog to find out more. Want to timelapse with your mobile phone? TurnsPro can will pan any DSLRup to 1Kg in weight on the horizontal axis. It will only rotate cameras up to 250 grams in the vertical axis. Follow us on Twitter for all of our latest news and videos. Check out our blog posts for more in depth information about TurnsPro. We want to give you as much information as possible about how to use TurnsPro. If you are a DSLR user, mobile phone user, GoPro user, or compact camera user we want you to take the best panning timelapse videos you can. Our forum has information from our users about how they have used TurnsPro.